Happy Halloween! It’s time for ghosts and goblins and other scary things. 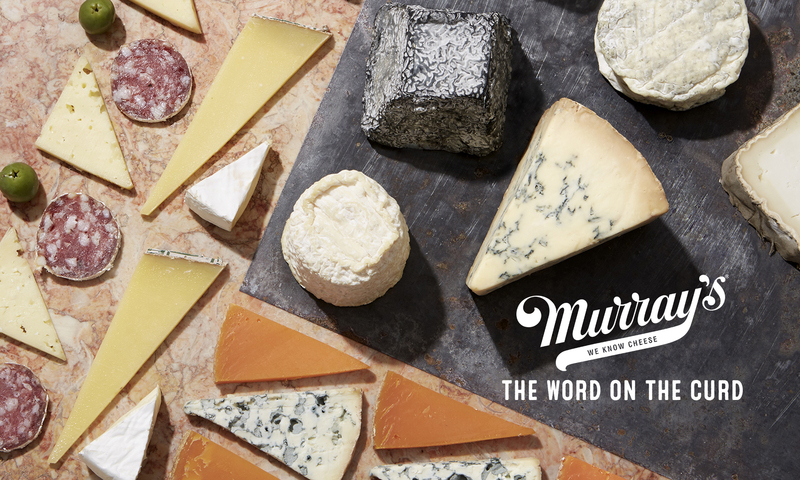 Cheese doesn’t have to be one of them, but it certainly can be. What better time than now for brainy rinds and sizable stink factor? There’s nothing to be afraid of. Promise. Bonne Bouche: Bonne Bouche is the flagship of Vermont Creamery’s signature aged goat cheeses. 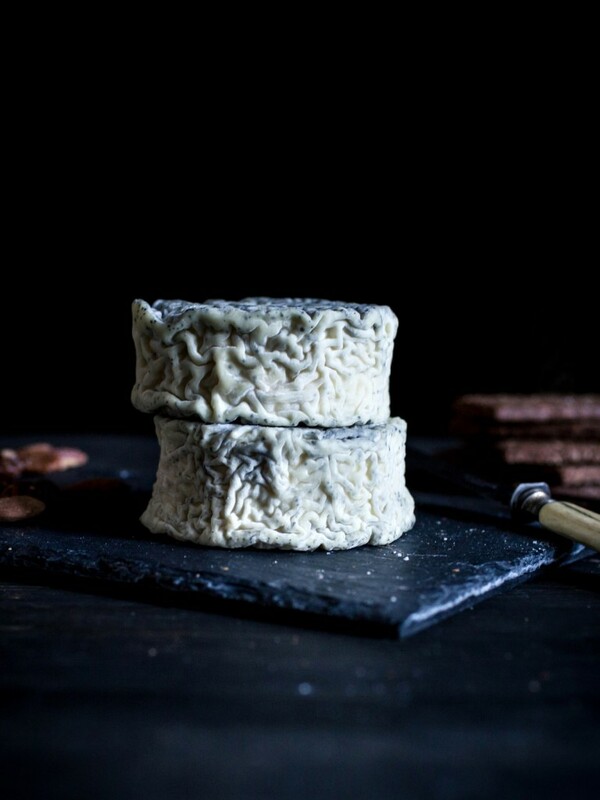 Made with pasteurized goat’s milk, the curd is carefully hand-ladled into molds, lightly sprinkled with ash, and aged just long enough to develop a wrinkly, brain-like rind. Reminiscent of Loire Valley favorites like Selles Sur Cher, Bonne Bouche also pairs well with Sauvignon Blanc.Frighteningly good. Murray’s CaveMaster Reserve Greensward: If giant, funky flavor and oozy goodness scare you, don’t read on. Creating a new cheese is hard work! After tons of experimentation, we’ve arrived at perfection. Perfect spoonable, silky texture. Perfect big, bacony flavor. Perfect notes of forest and resin from Greensward’s pretty spruce jacket. The perfect collaboration with Jasper Hill. For even more perfection, open a light Gamay, or bourbon, and dive into this beauty with pieces of crusty bread. Époisses: Don’t be afraid of the stink! You may not know it, but Époisses is actually a French word meaning “completely worth the effort”—either that or “stinky but incredibly loveable” because the end result, a custardy bacon bomb, is oh-so-worth-it. One slurp of the intensely creamy paste of this French classic, and you’ll know why we go to such lengths to ensure that this unctuous pasteurized cow’s milk round, made in Burgundy, France, is so delightfully decadent. 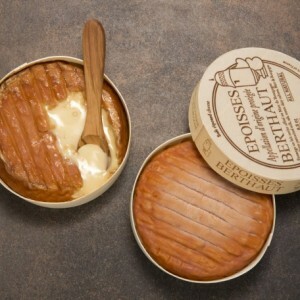 After near extinction in France during the World Wars, Époisses de Bourgogne was resurrected in the 1950s by our beloved M. Berthaut. After being carefully hand-ladled into forms and dry-salted, each wheel takes a turn in French cave. Tucked into a clever wooden box meant to ease transport to our fair shores, serving Époisses isn’t nearly as difficult as aging it—slice a crusty baguette and dunk away, adding a glass of Burgundian white for terroir-driven perfection. Coupole: Another wrinkly beauty from Vermont Creamery. As it ages, the pristine, velvety edible rind softens the fresh chevre beneath to an unctuous creamline. The resulting two textures of its cross-section make for a stunning visual presentation; this is an ideal selection for a stand alone cheese or first position of a cheese plate. Pair with a dry, grassy white.